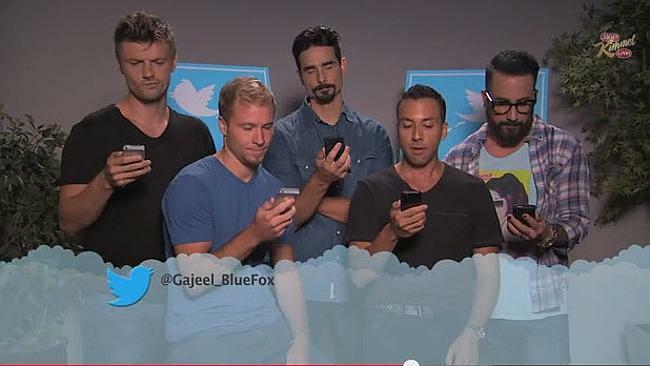 Still haven’t bought anything for the Backstreet Boys fan in your life? Besides the Boys themselves wrapped in a bow and set neatly (and probably against their will) under the tree, here are a few other things that might suffice. Happy shopping! 1. 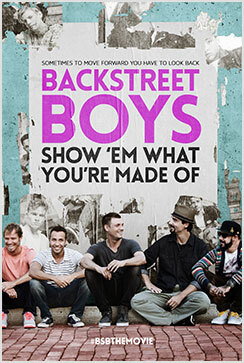 A pre-released copy of the new Backstreet Boys documentary, Show ‘Em What You’re Made Of. Not to be confused with the song by the same title (We already have that, duh), this movie is currently the buzz in the Backstreet world. While it is not to be released until January 30th, 2015, if you’re a fantastic hacker, this is what the fan in your life REALLY wants. However, unless you want to be forced to watch it every day for the next year, it may not be the gift for you. However, you can help your fan get a prescreening in your town by going to bsbmovie.tugg.com but he/she has probably signed your email address up already. 2. An album full of high quality unreleased Backstreet songs that we all know about, but need more of. We’ve been begging the Boys themselves for this for years. The songs are on youtube, various message boards, have been made into a list according to quality and handed to Howie himself and yet we still do not have this item in our hands. 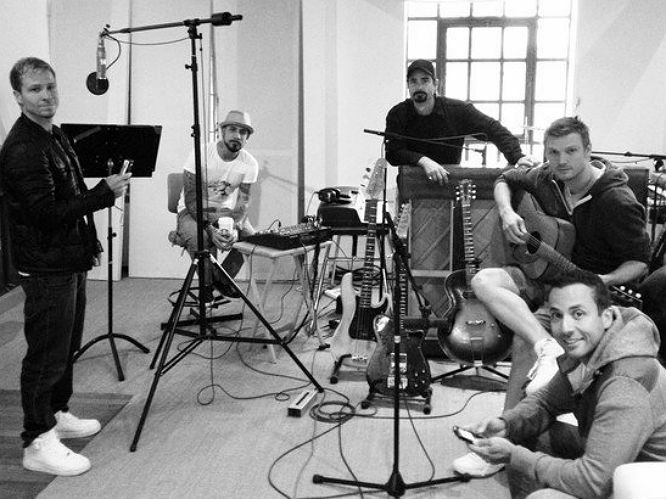 If you are a wizard and can create this album or have some kind of voodoo that will make them think this is a good idea, the Backstreet fan in your life will instantly become YOUR biggest fan. BONUS: A Christmas album from the BSB. This does not exist, but maybe if you’re creative in dubbing…. 3. Follows from every BSB on Twitter. This will require a lot of persistence, creativity, and patience on your part. Like Pokemon, it’s really hard to catch them all. 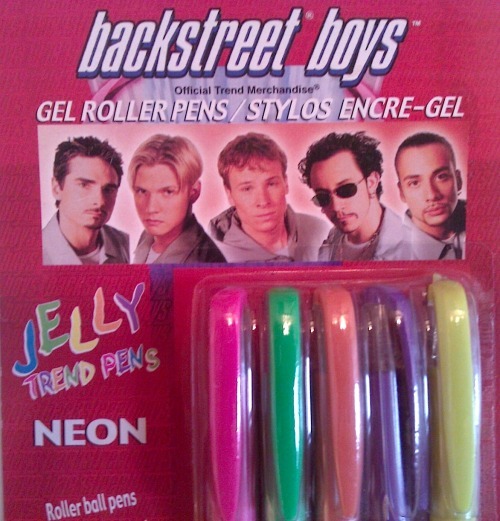 There is not one fangirl that won’t squeal over vintage Backstreet Boys Christmas ornaments, books, shirts, or …GEL PENS. Those gel pens were the best/worst things ever! You can almost bet that your thank you note will be written on black paper with a shimmery pink Brian pen! 5. Cardboard Cutouts and/or Fatheads of each Boy. While they may be creepy, they’re the next best thing to having the actual Boy themselves for some fans. They can be seasonally decorated, comforting when you are sad, and creepy when you need to pull a prank. However, if you live with the fan and you yourself are not crazy about having Nick Carter watching over you while you sleep, choose something else. But, really, who doesn’t want Nick Carter as your very own Edward Cullen? 7. VIP at the next Backstreet concert near you. WARNING: This gift is the greatest of all, but may ruin the fan in your life forever. If your fan has never gone to BSB Heaven given into the experience that is VIP with BSB, trust us, this is something he/she is not going to come back from. Buying this gift will result in extreme excitement leading up to the event. What no one tells you about is the extreme withdrawal after the VIP event of the century. Withdrawal symptoms include but are not limited to the following: Excessive talking about the event and every little thing that was said/done right down to the shoes Brian was wearing and how Nick hugged you, constant checking of tour dates to make sure there’s no way you can do it just one more time, and severe depression when you realize you can’t. 8. If all else fails, something that looks exactly like what Their Favorite has worn, used, and/or tweeted about. If Kevin is his/her favorite: A jean jacket, a piano, another jean jacket, a pinky ring. If Howie is his/her favorite: Salsa, hair gel, alcohol. If AJ is his/her favorite: A tattoo chair, eyeliner, FRIENDS DVDS, skinny jeans.